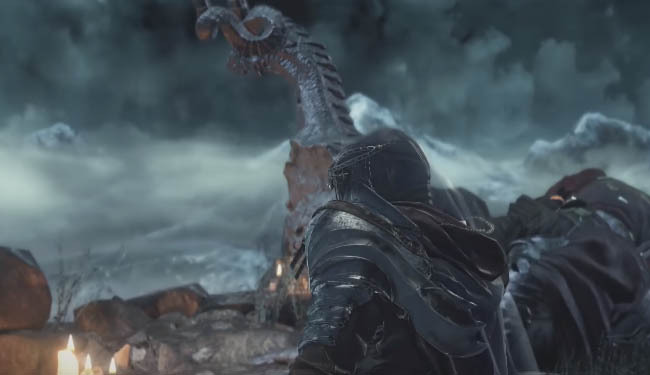 This guide will help you solve the "Show your Hammity" riddle in the "The Ringed City" for Dark Souls 3. This riddle is fairly complicated so follow the steps below for a complete solution to this problem in the DS3 DLC. 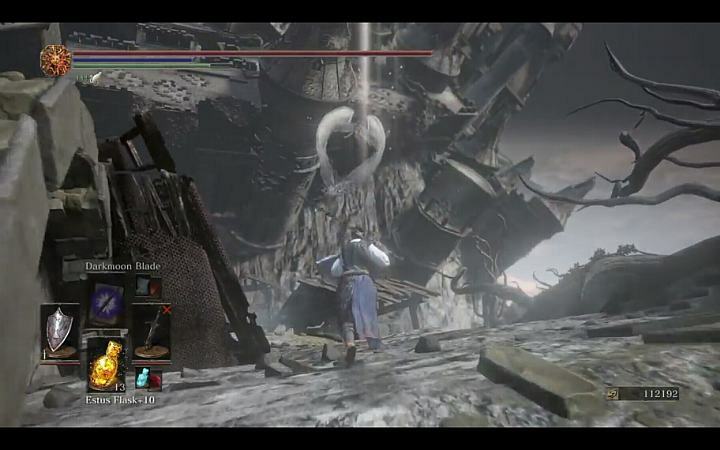 Whilst exploring the streets of the Ringed City in Dark Souls 3 you will no doubt come across alot of hidden secrets, one of which is the "Show your Humanity" puzzle, located near the bonfire, not far from the swamp in the city. Turn to your immediate right and you'll see pieces of a broken statue on the ground and a strange engraving on the wall that reals "Show your Humanity". This is the riddle location and you must solve it in order to proceed through the secret passageway. 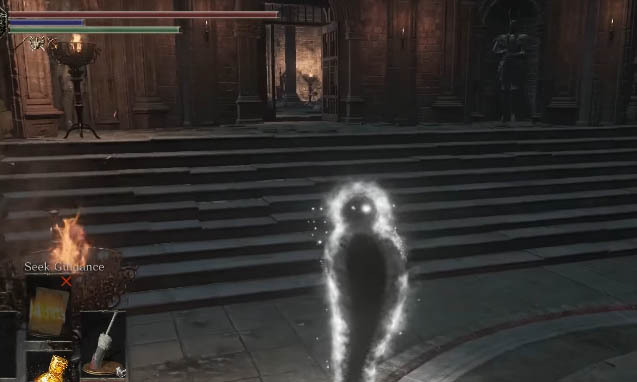 Now this puzzle means absolutely nothing in the Dark Souls lore and the solution is rather simple once you know the solution. Simply exit the bonfire area and go back towards the swamp area. Open your inventory and use either a Chameleon spell or a White Branch spell, both of which will turn you into a Humanity. Note that sometimes this doesn't work straight away so ensure that you are far enough away from the bonfire for the riddle to reset correctly and register that you are now a ghost. 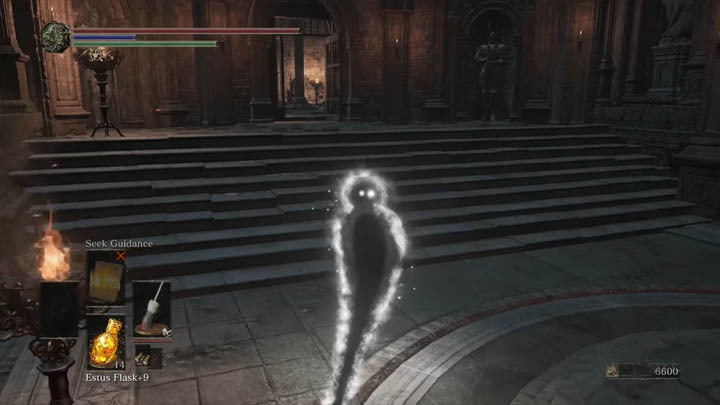 Now that you're a white ghost, slowly drift back to the riddle area and face the wall where the engraving reads "Show your Humanity". A secret ladder should spawn in, allowing you to climb (the very long) wall upwards to a new section of the DLC area.